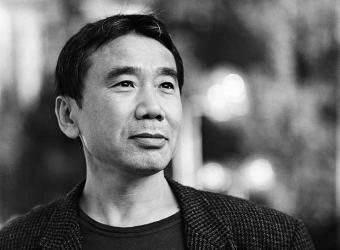 In honor of Haruki Murakami turning 65 this month, I am reading Wind Up Bird Chronicle. Synopsis: Japan's most highly regarded novelist now vaults into the first ranks of international fiction writers with this heroically imaginative novel, which is at once a detective story, an account of a disintegrating marriage, and an excavation of the buried secrets of World War II. In a Tokyo suburb a young man named Toru Okada searches for his wife's missing cat. Soon he finds himself looking for his wife as well in a netherworld that lies beneath the placid surface of Tokyo. As these searches intersect, Okada encounters a bizarre group of allies and antagonists: a psychic prostitute; a malevolent yet mediagenic politician; a cheerfully morbid sixteen-year-old-girl; and an aging war veteran who has been permanently changed by the hideous things he witnessed during Japan's forgotten campaign in Manchuria. Last year, one of the gals over at Well Trained Mind introduced me to Murakami through his book 1Q84 and I was hooked. And since we are armchair traveling through Japan this month, it is a perfect time to read more of his stories. Haruki was born January 12, 1949 in Tokyo, Japan. He began writing at the age of 29, inspired by all things, a baseball game. Hear the Wind Sing, his first book in Trilogy of the Rat, was published in 1979 and he won the Gunzou Shinjin Sho, the Gunzo New Writer Award for new writers, established by Gunzo Magazine. He soon followed up with two more books in his Trilogy of the Rat: Pinball 1973 in 1979 and A Wild Sheep Chase in 1982. He won the Noma Bungei Shinjin Sho (Noma Literary Award for New Writers) for A Wild Sheep Chase in 1982. During this period of time he sold his bar, Jazz Cats, which he had opened in 1974, and began writing full time. In 1985 he wrote Hard Boiled Wonderland and the End of the Year for which he won the Junichi Tanizaki Award. In 1991 he moved to the United States where he taught at Princeton and also wrote The Wind Up Bird Chronicle which was published in 1994. He won the prestigious Yomiuri Literary Award. He moved back to Japan in 1995, where he's gone on to have published numerous books including Kafka on the Shore, a short story collection - Blind Willow, Sleeping Woman, and his latest in 2011, 1Q84. Check out his facebook page maintained by his publishers Alfred Knopf for articles and interviews. Join me in reading Wind Up Bird Chronicle or one of his many other fascinating stories. Link to your reviews or year end wrap up posts: Please link to your specific book review post and not your general blog link. In the Your Name field, type in your name and the name of the book in parenthesis. In the Your URL field leave a link to your specific post. If you don't have a blog, tell us about the books you are reading in the comment section of this post. Wow, LuAnn, you go girl! I just added a link for the end of Week 1, so my first book down, 51 to go. So happy to be doing the challenge again this year after taking a year off in 2013. This time, though, I am doing the A to Z challenge. So, weeks 1 & 2 are "A" books; weeks 3 & 4 are "B" books, and so on. Enjoyed putting together a list of books that I would like to read on Good Reads. 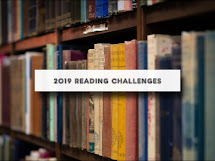 Thanks for hosting this year-long reading challenge!! That works. Thank you and happy readin! i have a Murakami's around the room for months, bypassed by lots of other heavy lectures. so lets continue the "dusty" challenge in this second week with "the missing elephant". Are you talking about his short story - The Elephant Vanishes? I'm still working on Wind Up Bird Chronicles. About 2/3 through. oh, yeah, sorry. i'm from italy and i'm reading this book in my mother language, i also opened the english wikipedia page to look for the original title and i found it, but i wrote my own wrong translation anyway. Hi! I have finished 2 books so far and reviewed one of them. Will be writing the other one soon. I am surely going to enjoy the reads as some of the books I got on a sale a decade back are quite old and I have never even read them once! Great! Will drop by your blog. Yep, those old sale finds are always fun to read. I have to admit to cheating a bit. I am struggling with my first book so I have written a blog post about that rather than an actual review. I am just going to skip over it though and go on to the next book in my list while carrying on trying to read my fist book when I have the energy and brain power for it. I have already finished one book this week - not the one I had planned to read for the challenge - so I will probably review that one too sometime soon. Naw, it isn't cheating. Reviews can be anything from thoughts on how you felt about the book to a full out analysis to what you said. Have fun with it and think outside the box. Some books are definitely going to take longer to read. Murakami is one of them. His books are ones you can read in long chunks. You have to take a few chapters at a time and in the between times, delve into something else. Left a message on your post. Happy reading! I was posting on a Monday...will change that for Book 3. Did you add your links to mr linky. No matter what week we are in, link to your reads using the most current post. I haven't read any of his fiction yet myself. Will be interested to hear what you think. My book did have a connection to Japan :-) I finally read In This House of Brede by Rumer Godden. It's about nuns in a monastery in the 1960's. It was very well written and so interesting and well done seeing the rhythms of the enclosed life and the personalities. And the story included a small group of Japanese nuns coming to train with them and then some of the English nuns going with the Japanese nuns to start a monastery in Japan.